Can Scratch cards Make You a Millionaire? Scratch cards do make some people millionaires, but whether they can make you one is something which it is not possible to answer. Firstly you have to play scratch cards that have a prize of at least a million. Sometimes this is not easy as many have much smaller jackpot prizes than this. Then you have to play a great number of cards in order to increase your odds enough to give yourself a chance of winning. If you calculate the odds of winning the top prize, you will find that you have to spend the amount of the top prize, many times over just to give yourself a chance of winning the jackpot and so it is usually not worth doing. Some people put winning down to luck and have the attitude that they are not lucky and never win. Luck does not exist and it is all down to giving yourself a good chance. The more times you play, the more chance you have of winning a big prize. Each ticket has the same chance of winning and there are lots of tickets which are not winning ones. Basically, you can become a millionaire form a scratch card as long as you pick a card which has a prize of a million. However, the chances of winning that prize are very small and you are not very likely to win the prize. To calculate how likely you are to become a scratch card millionaire just find out how many people there are that have been made millionaires from scratch cards and how many scratch cards have been sold. You will find that many millions more scratch cards have been sold than there have been millionaires made. There are probably better ways to become a millionaire than playing scratch cards but if you enjoy them, there is no harm in having a go. Just do not think that it easy to win a big prize, because it is not. It will not only be difficult, but almost impossible. Therefore just play for fun and see any prize as a bonus, never play with money that you cannot afford to lose and you will not only have more enjoyment form the scratch cards but you will not get yourself in to financial difficulty. When you’re tired of playing strategy games, where do you really go? Do you go outside of the gambling world completely? If you absolutely love gambling, the answer is clear; not a chance! You’re going to want to make sure that you absolutely take the time to think about everything involved with getting in and out of gambling respectively. You might just find that instead of burning yourself out with strategy, you can move on to something else. There are plenty of other options out there that don’t require you to have any type of special skills. It’s all about doing the things that matter to you, without question. What about the lottery? There are a lot of new reasons to love the lottery game, and we decided to make a short little guide on that. You see, it’s all about being able to play no matter what. Some people really love playing the lottery, as it gives them the power to win big without having any strategy skills at all. As long as you can pick numbers, you can play the lottery. These are some lottery games where you can even get the numbers computer generated for you. This helps when you just don’t know what to play at all. It’s going to be up to you to make sure that you can think about the best way to go, all things considered. Are you ready to get started? The best lottery games are online, because they give you the chance to win instantly. Of course, you can still play the lottery game of your country. There are plenty of these to choose from as well. It’s all about the instant win, and instant win games are growing in popularity. Are they getting a boost from the struggling economy? We definitely think so. A lot of people are finding that they really just need to make sure that they can take care of their families. Sure, winning the lottery is still a long shot but there’s nothing wrong with dreaming, right? You will definitely want to make sure that you are always thinking about the best way to get things done. Take a risk and try the lottery game — you won’t be disappointed, especially when you look at the chance you have to win something big. Of course, even though it might be a long shot, you have to remember something: you just can’t win if you don’t play! There are many people who already bet on the lottery. Many countries have their own national lottery some having weekly draws and many having a combination of draws taking place every day or weekly. It can be a great way to have fun and try to win some cash prizes. 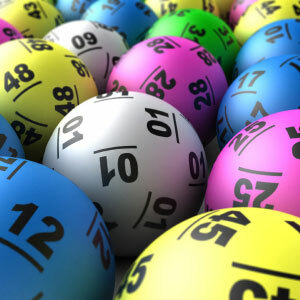 There are bigger lotteries too such as the Euro Millions lottery. The Euro Millions has a much bigger prize fund. This is because the tickets are sold all over Europe. Because more people buy tickets, then more people contribute to the prize fund. The jackpot prize is also often a lot bigger than that countries lottery. In the UK, for example, the Euro Millions jackpot tends to be bigger than the national lottery prize, but the tickets are more expensive to buy. You also have to match more numbers in order to win a prize. 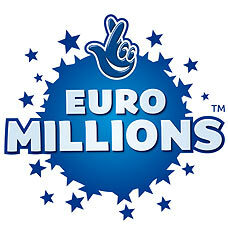 However, with the Euro Millions draw, you can pay to have you numbers entered in a UK only draw as well. This means that even if you do not win a prize on the Euro Millions, you have a second chance of winning a smaller prize. Many people like the idea of winning a bigger prize. They are not so bothered if they do not win a small prize, but would like the jackpot to be bigger. If this is the case with you, then perhaps Euro Millions will be for you. It is worth looking in to because the odds are different to that on the National Lottery and so it could be better. You can play online or in participating high street shops and Post Offices. The tickets can be bought in the same way as National Lottery tickets and therefore it is very straightforward. Just pick the six numbers you want to enter in the draw, fill out the slip and hand to the cashier or you can just type them in on line and pay on your credit card. Simple and fun! 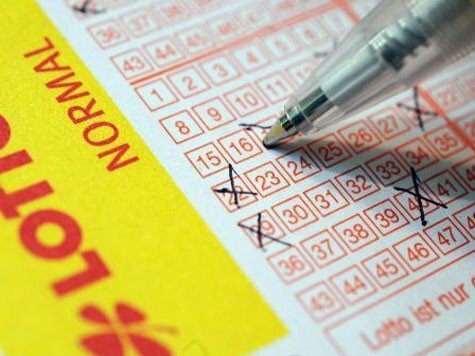 On the 17th of March the tickets went on sale for the new pan-European lottery; the Eurojackpot. On that very same day online ticket vendors made it possible for anyone in any country to enter and win the game’s fantastic prizes. With it’s first draw being held on the 23rd of March the excitement to play this brand new game is heating up. The big question on everyone’s lips is “How will this game compare to the Euro Millions?”. As the second pan-European lottery to crop up offering jackpots of tens of millions it could be that the Euro Jackpot provides some crucial competition to the Euro Millions which currently dominates the market. It’s arguable that what has made the Euro Millions so strong is it’s seriously high jackpots. With a jackpot minimum twice weekly of €15,000,000 and a maximum rollover cap of €195,000,000 the Euro Millions has seen enormous ticket sales any time the jackpot reaches over €100 million. By comparison the Euro Jackpot will offer only €10,000,000 and it’ll only be once a week, to seemingly makes matters worse for this new game, the rollover cap will be set to €90,000,000. With the Euro Millions leading the way in terms of cash prizes offered how can the Euro Jackpot expect to compete? To make the game more winnable and thus enjoyable for it’s players the Euro Jackpot is playing with a slightly modified version of the Euro Millions play system. Players must pick 5 numbers from a field of 50 and 2 from a field of 8, the Euro Millions is the same but has players choose 5 numbers from 50 and 2 numbers from 11. Wondering how big a difference it makes having a second number field of 8 numbers instead of 11? What this slightly reduced number field does it actually DOUBLE your chances of winning the top prize in the Euro Jackpot over the Euro Millions. To match all 7 numbers in the Euro Jackpot the odds are approximately 1 in 59 million, meaning the game is twice as easy to win a jackpot in because the Euro Millions has jackpot winning odds of 1 in 117 million!